Published May 17, 2013 by Imperial Beach Patch. 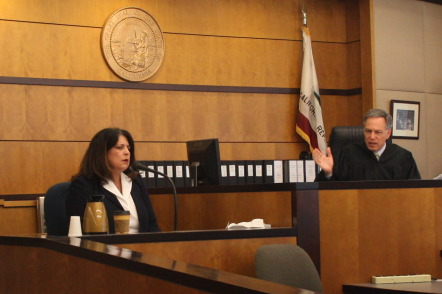 A Superior Court judge ruled against the city of Imperial Beach Thursday in a case to determine whether specific information turned over by the city can be used in an investigation by the county’s civil Grand Jury. Judge William Dato issued a temporary restraining order to halt use of specific legal bill information last month in an investigation into alleged misappropriation of city and Imperial Beach Redevelopment Agency funds. “We don’t see this sort of thing everyday,” Dato said. This is the first known incident in which a city requested a restraining order against the county of San Diego Grand Jury to halt an audit, use of specific documents or investigation, according to 10News. A Grand Jury investigation started last fall following a citizen complaint. An audit of the city and its former redevelopment agency started in February. “It’s regrettable we’re here. The Grand Jury has a right to conduct its investigation,” said the Grand Jury’s counsel Deborah McCarthy. More than half of the Grand Jury were present for the hearing. City Manager Gary Brown also sat with Boehmer at the hearing. The full nature of the Grand Jury’s inquiry is not known because Grand Jury investigations are confidential until they are published. An audit and report may be released in the next week, the Grand Jury’s general counsel said. The audit and report must go through a review process before published, said the jury’s foreman Paul Christian. County of San Diego Auditor Tatiyana Foster has reviewed city and redevelopment agency finances from 2010 to the present as part of the investigation. An audit and report from the Grand Jury was completed April 15, according to a complaint by Steven Boehmer, who represents the city. The next day he submitted a request for a temporary restraining order to block use of legal fee invoices in the investigation. In his ruling Thursday, Dato said the county needed access to legal bill specifics to verify funds were properly used. The city was notified that an audit would take place as part of a Grand Jury investigation. That the county would need to see specifics should not have come as a surprise, Dato said. Had the county clearly communicated its need for legal bill information with descriptions the city would not have complied and instead brought the matter to court, the city’s legal counsel said. The city’s Administrative Services Department director “inadequately communicated” to a temporary employee her desire to keep the portion of legal fees that describe particular services rendered, and in doing so, waived the city’s right to attorney-client privilege, Dato ruled. “I find there was a waiver provided to Foster and those materials may be considered in the function of its audit,” he said. The Administrative Services Department director took the chief role in all city financial matters when the Finance Department director position was eliminated in 2012. Testimony by County of San Diego Auditor Tatiana Foster, IB Administrative Services Department Director Kathleen VonAchen and former temporary city employee Merlyn Baker surrounded how legal bill invoices were released by the City of Imperial Beach. VonAchen maintains that she told Baker not to share narrative information that tells of specific services rendered or make copies. Baker said she was just told to gather invoices and turn them over to Foster when she visited City Hall March 5. City employees seemed surprised by the audit when they were notified at a meeting in February, Foster said. “I believe they said the person who asked for the audits was probably insane,” Foster said. “I was not surprised redaction wasn’t mentioned because I’ve never had a problem with my previous client’s billing information,” she said. Libi Uremovich, who has encouraged outside entities to take a deeper look into city finances and written several blogs on the matter, told IB Patch she met with the Grand Jury last fall. A representative of the Grand Jury declined to state whether Uremovich testified since they do not discuss ongoing investigations. Two meetings were held to discuss the audit in February. A list of documents needed to complete the audit was given to the city March 1. Legal documents were given to Foster by Baker at City Hall on March 5, an assignment she was tasked to do by VonAchen. The documents were not reviewed before being turned over to Foster, VonAchen said. “I told her don’t show the auditors any portion with specific narrative cause those aren’t public record,” VonAchen said. Testimony offered Thursday established that throughout meetings and correspondence with the county auditor, no protest was made by the city about the need to redact or remove part of legal billing information, Dato said. “It was as though it somehow slipped by,” he said while giving his decision in the case. Following a March 20 email from Foster, VonAchen discovered the documents were given to the county in their entirety. Emails and letters were sent demanding the documents be returned, then a restraining order was requested in April. Foster said she would not be able to complete the investigation without access to the city’s full legal invoices. VonAchen testified that Foster could have completed the audit without reviewing specific services rendered by following codes that define the purpose of each bill. “The coding would indicate services rendered without seeing specific services rendered,” she said. Codes are assigned to each legal bill by law firms working for the city and then verified by a department head or executive city staff before being paid, VonAchen said. Codes were assigned to some legal bills but not others, Foster said. More than codes were needed in this case, McCarthy argued, since the reliability of the codes is what is in question. “If there were concerns that someone at the city was improperly spending funds, the coding wouldn’t necessarily tell you that, right?” Dato asked VonAchen. No because two members of staff review the bills, VonAchen said. The speed of VonAchen’s response once she found out the bills were inadvertently released should indicate her desire to protect attorney-client privilege. “Ms. VonAchen’s spontaneity was ‘Oh, no!’ Maybe they’re really finding things attributed to the wrong accounts,” McCarthy said. In examination of witnesses, Boehmer attempted to discredit Baker’s credibility and Foster’s knowledge of redevelopment agencies and questioned Foster and Baker’s relationship. Foster told the court she had no previous experience auditing a city in San Diego. She also said she learned about redevelopment agencies and AB26, the bill to dissolve redevelopment agencies, “through the Internet.” Parts of the audit were prepared with the assistance of Juan Perez, Foster’s boss. Baker demonstrated an inability to understand basic instruction when she was unable to answer questions on the stand, Boehmer said. Foster and Baker are members of the group Accounting Day. Baker and Foster said they are acquaintances and though they serve on the organization’s board, said they had never met before the audit began. The two had 3-4 conversations on the phone before Baker signed a statement prepared by the county, Baker said. “It’s very easy to blame somebody that’s not with the city anymore,” Foster said Baker told her at an April 1 Accounting Day meeting. Baker worked for the city from November 2012 to March. “I was surprised and said that’s not true that I was told to redact,” Baker said she told Foster at the meeting. This entry was posted on Sunday, June 22nd, 2014 at 8:51 pm. It is filed under Story Archive and tagged with courts, government, Imperial Beach Patch, politics. You can follow any responses to this entry through the RSS 2.0 feed.